Once a staple of the corporate world, we now live in a society of instant-doing: instant messaging, instant coffee, and most pertinently, instant file sharing using the internet and cloud services. This raises the question: is there a place for faxing in the world today? Fear not, for faxing is not dead, but merely transformed to meet the needs the modern world demands: introducing virtual fax. What Is a Virtual Fax? The advent of the world wide web has opened up an entirely new world of documents and how we format them. We now have online signature services, PDFs (learn how to convert HTML to PDFs in this tutorial), and email. Virtual fax has the same basic characteristics of traditional fax: it is a document or set of documents, sent to another person via some form of identification method (phone number, email, account number). So, by now you must be wondering: what’s the difference between normal fax and virtual fax then? Unlike traditional fax machines, which requires a phone line to send documents to another phone line, virtual fax utilizes a few different methods, gets received by the intended recipient almost immediately, and the fax transmits more securely than traditional faxes. The first and perhaps most streamlined method of sending a fax from the computer is to use an online fax service. But what exactly is that? 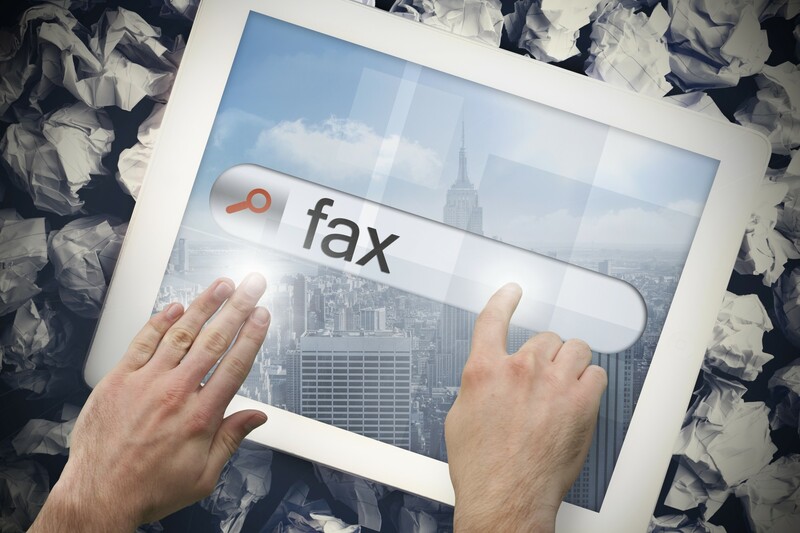 An online fax service has most of the same characteristics of traditional faxes, but also has the advantage of being completely mobile: zero hardware required, other than a device that supports efax services, and an internet connection. These fax services are not always free, as most brands will cost you somewhere between $9 and $16 monthly. Often, another option is to attach the documents you wish to fax to an email addressed to your efax service. After you send that, your service provider will subsequently send your fax to its intended recipient. This method is extremely practical since an efax can get sent with virtually any smart device from anywhere, as long as you have an internet connection! We can do a more traditional fax using a computer as a replacement for a traditional fax machine. Fun fact: Most computers are capable of use as a fax machine! First, you need to determine if your computer has a phone jack: many computers and laptops have these jacks, so a user has the option of using both wired and wireless internet connections. That said, the same jack can be used to connect your computer to a phone line. If you do not have a phone jack on your computer, you can easily remedy this by purchasing a USB-to-phone jack plug, which will allow you to do the same as if you had a phone jack. While the process for sending a fax can vary slightly across operating systems and brands, the overarching process is largely the same. Additionally, all major Windows operating systems have a program, Windows Fax & Scan, that makes the process seamless. Naturally, the process will be different if you do not use a computer with a Windows operating system. Rest assured, though, that most major systems have a means of faxing, either with their program or programs that can get downloaded. While both of these methods achieve the ultimate goal of sending documents from one place to another, neither is without their faults. Efax services are fantastic in that they are easy to use, allow great mobility, and are very secure. But they require a monthly cost, one that perhaps would not make sense to just an occasional faxer. Additionally, they do require an internet connection. Any disruption in internet connection will completely hamper your ability to send faxes. In that case, we have the option of faxing with a computer. This does not require any cost, just an active phone line and a computer. While it does not cost to fax with this method, it would presumably cost the user a monthly sum to have an active phone line. Additionally, you are limited in mobility to the length of your phone jack cord. All this said, even if the internet is down, as long as the phone line is working, you can still send a fax using this method. Like so many other things in life, it truly depends on the user. If you liked this guide on how to send a virtual fax, perhaps you’ll like our resources page! We can help with everything, whether it be choosing your next car, learning to study well, or even choosing the right generator: we got you covered! If it’s a problem, we probably have some guidance for you!